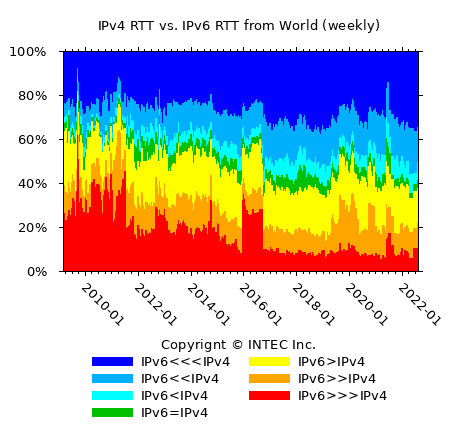 ﻿ Internet Metrics ｜ INTEC Inc.
INTEC Inc. Advanced Technology Research and Development Institute performs Internet Metrics by IPv4 and IPv6. 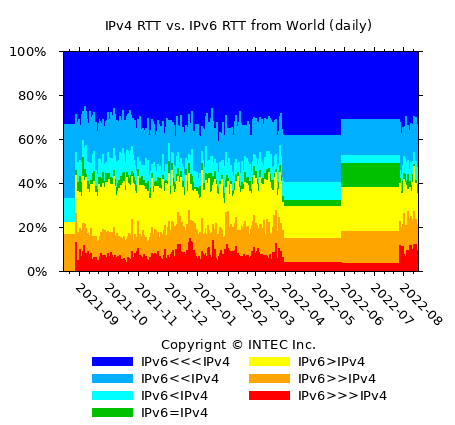 The following figures show IPv4 RTT vs. IPv6 RTT to a measurement point. Details click here. COPYRIGHT©2007, 2008, 2009, 2010, 2011 INTEC Inc. All Rights Reserved.